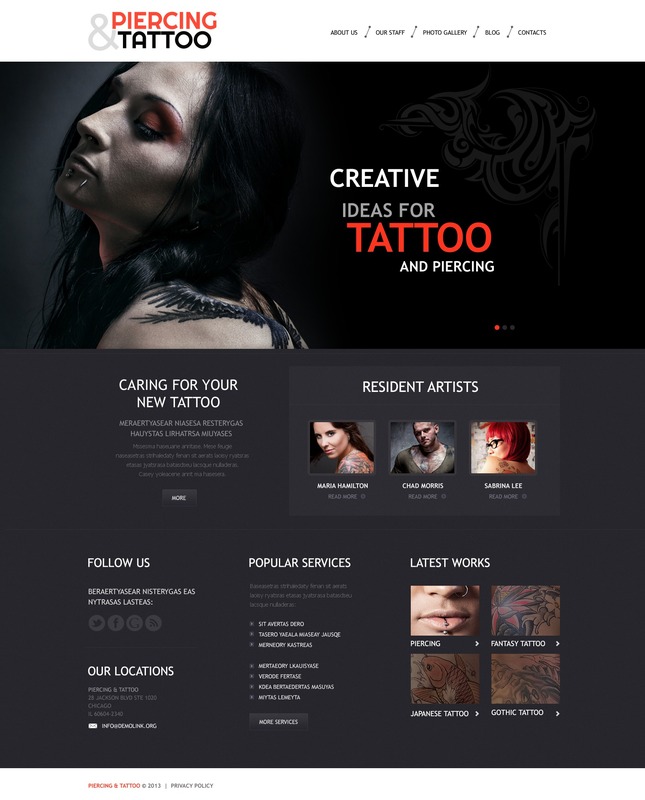 Tattoo salon website needs visually engaging design that will catch attention and have an impact on the viewers. If youÃ¢â‚¬â„¢re looking for the one, here it is Ã¢â‚¬â€œ the emotive stylish theme in dark colors with a strong emphasis on images. The textured background and red typography brings effectiveness to this layout. Easy navigation lets visitors seamlessly get to any part of the site. The theme goes with cool portfolio page for bold presentation of works.